Everyone For Veterans - Our Blog! Time for #MissionAccomplishedMondays… Week 5! 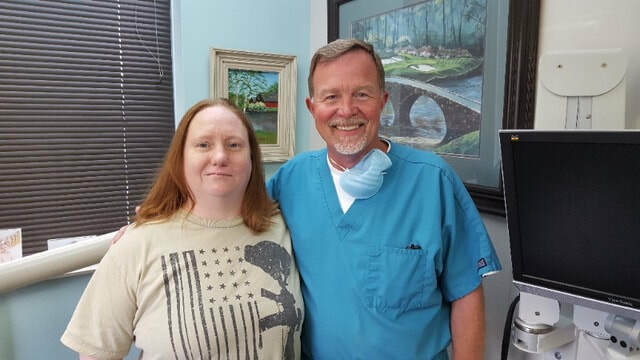 Thank you to Dr. Merle Nunemaker for helping Iraq War Veteran, Denise M.
So great to see the dental community giving back to veterans who’ve returned from combat. Denise M. was a combat medic of the Iraq war who herself sustained much injuries from a mortar explosion and underwent multiple surgeries. She is completing school to be a Registered Nurse on the GI Bill. Her family has been a great support to her. However, dental care was out of reach but Dr. Merle Nunemaker (Kansas City, MO) volunteered his services and took care of that for her. Thank you so much, Dr. Nunemaker! 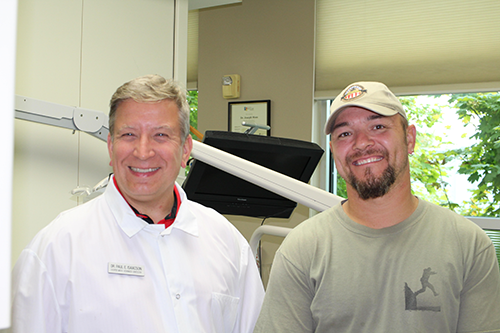 We provide opportunities for dentists across the country to give back to a combat veteran in their private offices. 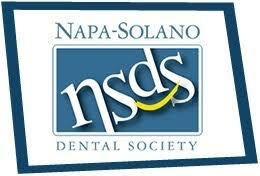 Please help spread the word to all dentists so they can partner with us to honor our combat veterans. Presently, we have many opportunities for dentists in California and Arizona. Be like Dr. Nunemaker and change the life of a combat veteran! ​Time for #MissionAccomplishedMondays… Week 4! 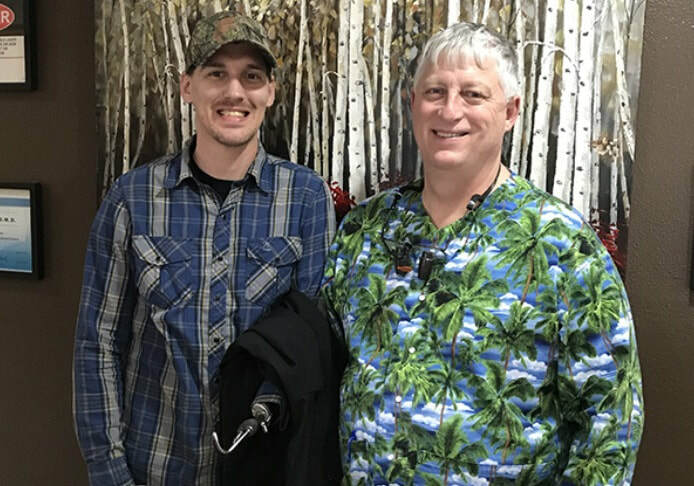 A big thank-you to Dr. Judy Huey of Scottsdale, Arizona for donating her time and services to Iraq War Veteran Prentice S, who is presently going to school for a business degree. We thank you for your service, Prentice. Be like Dr. Huey and be the change in the life of a combat veteran! ​Stay connected with us on Social Media for more updates! Welcome to #MissionAccomplishedMondays… Week 3! 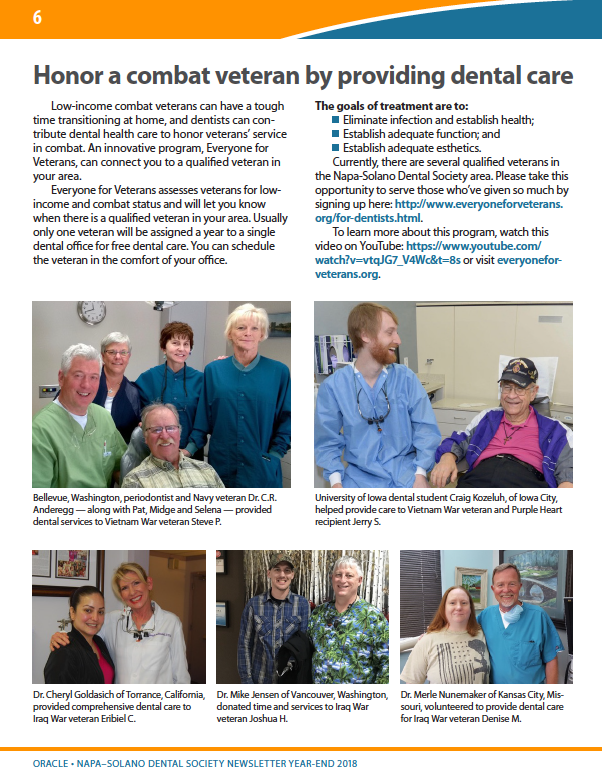 Calling all dentists in California, especially SF/ Sacramento/San Jose areas: Our combat veterans are in need of your assistance! Dr. Cheryl Goldasich of Torrence, CA heard about E4V and was happy to give back to Iraq War veteran, Eribiel. ​She gave her the gift of comprehensive dental care including a bridge for her front teeth and a beautiful smile! Eribiel served in the army as a 88M Truck Driver and her job was to assist in getting everyone out of Iraq during Operation Iraqi Freedom. Returning stateside has been challenging due to back injuries and needing lots of treatment. She sometimes needs to use a walker. Her husband is her caregiver and also takes care of their 3 year old twins, while Eribiel’s mom helps with all of the cooking. Eribiel is unemployed at this time and Rogelio had to change to working part-time to help Eribiel. Be like Dr. Goldasich and be the change in the life of a combat veteran! Time for #MissionAccomplishedMondays... Week 2! 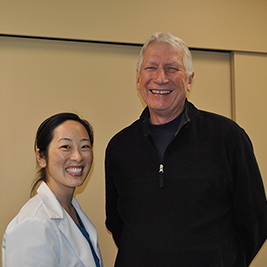 We are so grateful to have the support of the Dean, college of dentistry, University of Iowa, Dr. David Johnsen, in honoring veterans who’ve returned from combat areas and needing dental care. What a great message for the dental students to learn about giving back to veterans who were in harm's way for the country. 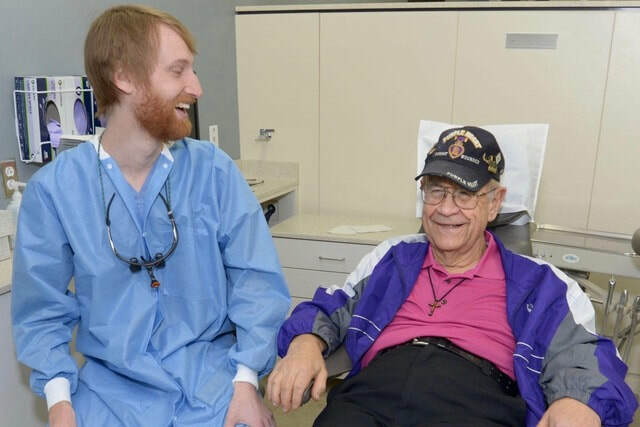 University of Iowa dental student, Craig Kozeluh, was happy to have the opportunity to give back to Vietnam War veteran and Purple Heart recipient, Jerry Schindler. Jerry deployed to Vietnam and was there for 2 years as an Advanced Medical Specialist and Flight Medic. He carried wounded soldiers, dealt with amputations and gunshot wounds including suturing, basically being the “doctor” in the field. He even delivered babies. ​During a rescue mission by helicopter, they took a rocket to the side of their helicopter. His body armor took a 2 inch piece of metal and for his injuries was presented the Purple Heart while in his hospital bed in 1968. Returning stateside, he was “traumatized” and suffered from severe PTSD. He feels more blessed than some. He married within 2 weeks of returning, went to the University of Michigan and trained as a Respiratory Therapist. He worked in that field for about 7 years. Then, he got a Bachelors Degree in Theology and was in the Ministry for 25 years as an Assistant Pastor. Jerry retired in Jan 2017 to a very modest income and checks in with his psychologist when he hits some rough patches. Jerry, we thank you for your service! Be like Dr. Johnsen and Craig and be the change in the life of a combat veteran!